By Sandy Miller, Co-owner, Vine to Wine Concierge. This is the first blog for Vine to Wine Concierge. Each time we’ll try to post some thoughts on wine, travel and food either locally where we live in Vermont or on one of our travels. 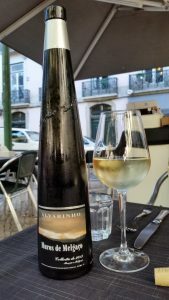 When we’re traveling we’ll take in fresh, local foods and post a recipe (with recommended wine pairings) at the end of the blog that is representative of one of the dishes we tried. Enjoy and let us know what you think. Cheers! 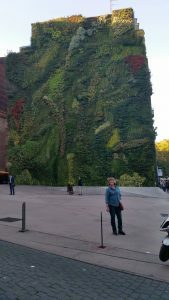 During our recent visit to Portugal and Spain, Pam and I concentrated on exploring the city cores of Lisboa (Lisbon), Madrid and Barcelona and Tenerife in the Canary Islands (part of Spain). We enjoyed incredibly good weather – 60s to 70s F every day. I’ve posted pictures of some of the things I reference below on Instagram and Facebook. 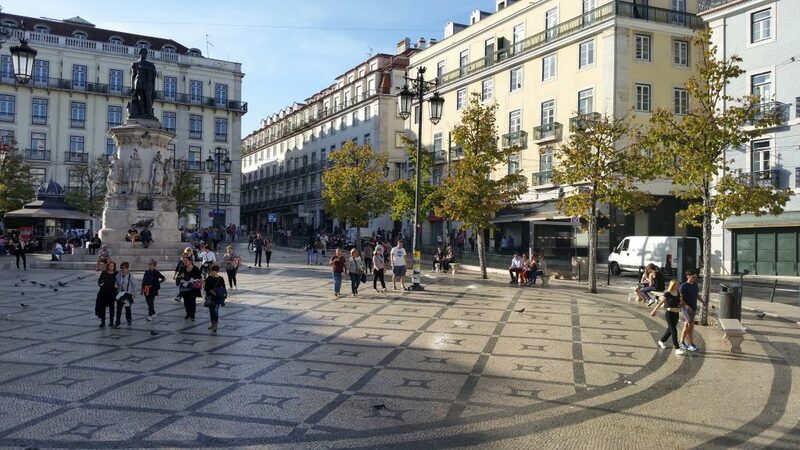 Lisbon is remarkably beautiful with its ubiquitous decorative mosaic sidewalks and plazas and tiled and pastel building facades. The entire city center was rebuilt after being destroyed by an earthquake and tidal wave in 1755. 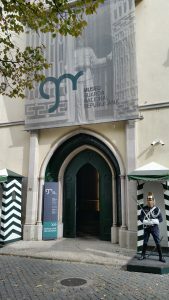 We stayed at the Lisboa Carmo hotel for two plus days amidst cafes, bars and museums. 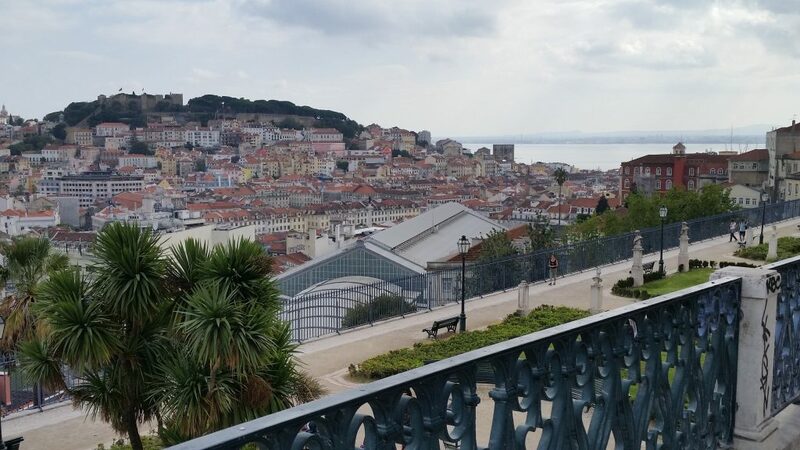 The country has come a long way since their 1974 “carnation revolution” and return to democracy with exclusive shops and tremendous development taking place everywhere. 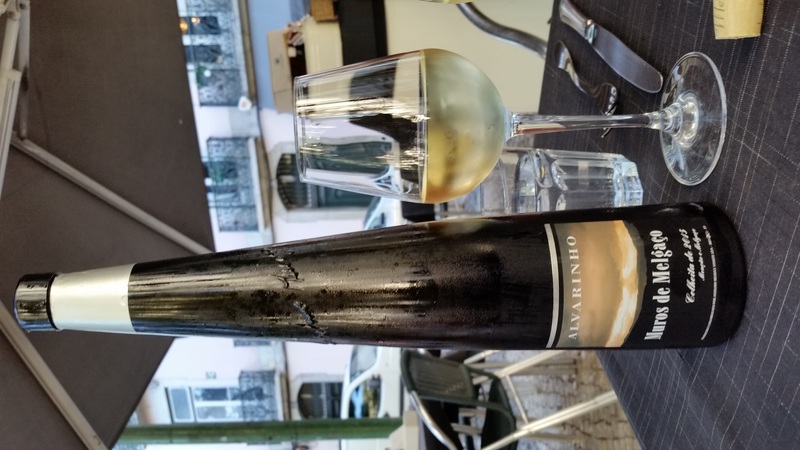 During our first afternoon, we enjoyed a fresh 2015 DOC Vinho Verde Alvarinho from Muros de Melgaco. 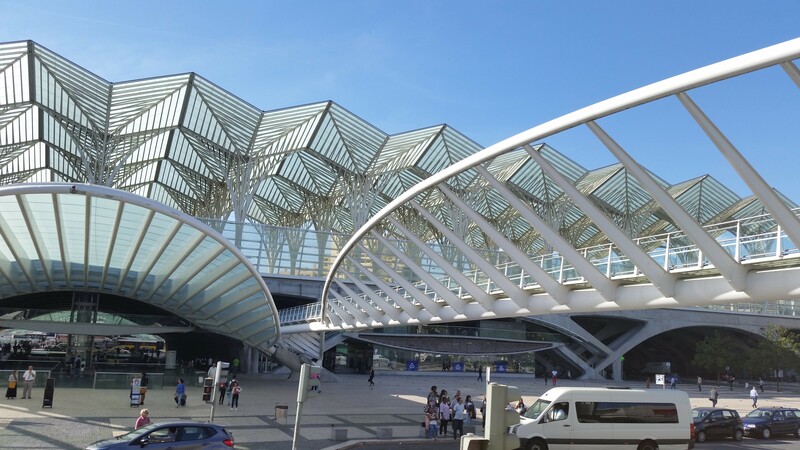 Lisboans speak excellent English and are very hospitable and friendly. Esparao Reserva whites and red wines from DOC Alentejo also delighted. We had excellent meals at Restaurant Carmo, Mar du Carmo and Foz Gaustus. 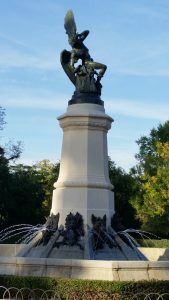 One interesting tidbit is that during the during the evening of October 31st there were a great many people dressed in costumes. Apparently, dressing up on Halloween has become in vogue in Lisbon. Madrid is a city on a much larger scale than Lisbon. The Luxury Suites in city center were very well appointed and spacious. 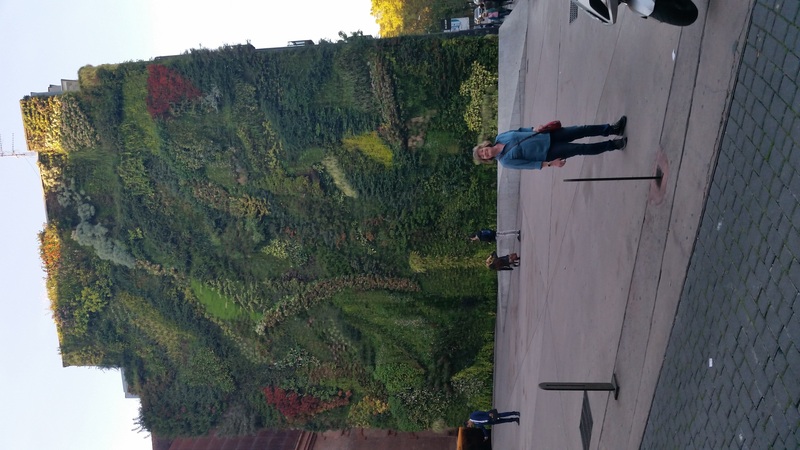 The Prado is a great museum focusing on the art of Velasquez and Goya. 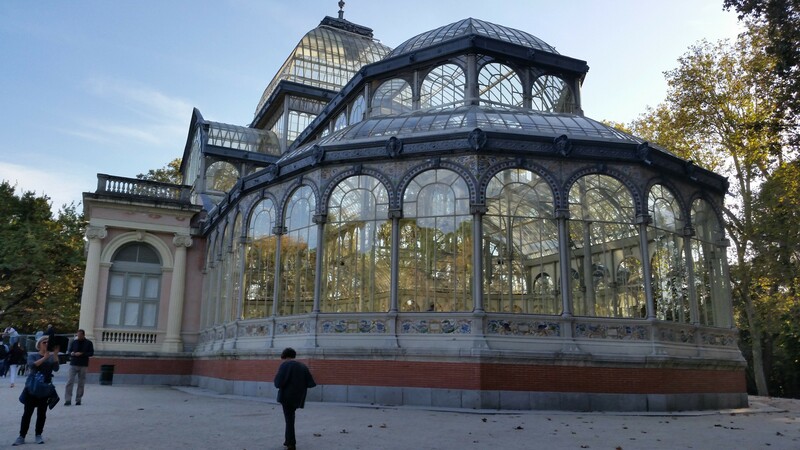 Retiro Park is a great walk. 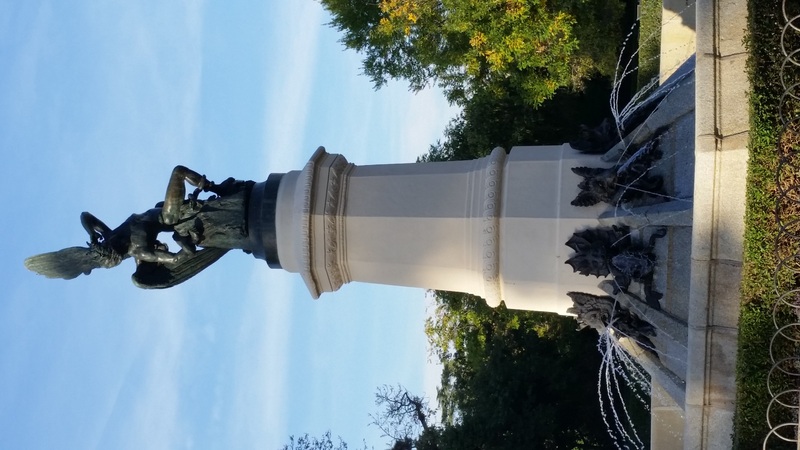 We strolled through the lovely gardens plus sites such as the Crystal Palace and many monuments including the Fuente del Angel Caido (Statue of the Fallen Angel). The National Palace and its many gardens were inspiring. 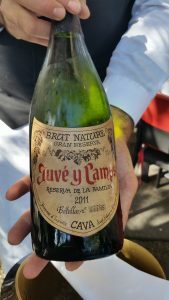 We had delicious wines at Inclan Brutal Bar and our best meal was the excellent tapas restaurant, Vinotecca Moratin with some fine wine pairings. 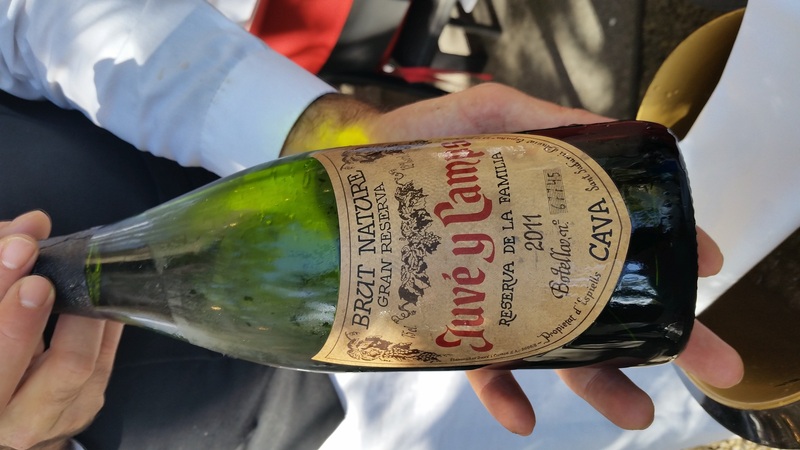 Among the best wines we tasted in Madrid was the mouthwateringly delicious Juve y Camps 2011 Gran Reserva Cava – Cavas just don’t get the attention they deserve! 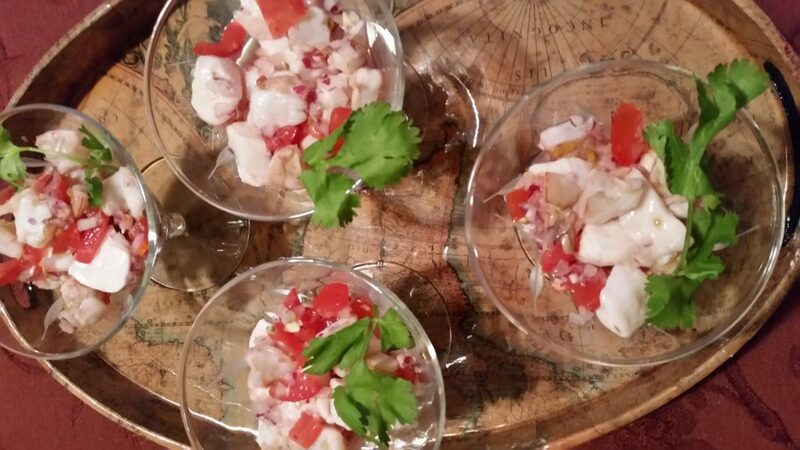 One of our favorite tapas was a delicious ceviche dish – pair with a Cava, Alvarinho from Portugal or Albarino from Spain, Sauvignon Blanc or Dry Riesling. Here’s my version. Peel and devein one pound of medium shrimp and cut into bite size pieces. Cut a piece of firm flesh fish (like sea bass) into bite size pieces. Put these into a non-reactive bowl (glass or ceramic). You can also substitute scallops for the fish or the shrimp. Juice lemons or limes or both so there is enough juice to cover the shrimp and fish and refrigerate. Finely chop a couple or three plum tomatoes. Finely chop a small red onion or shallot. Remove seeds from a jalapeno or serrano pepper and cut into small pieces. Cut or tear cilantro leaves into medium size pieces. Cut or tear fresh oregano into small pieces. After one hour stir shrimp and fish to make sure all the pieces are coated in the lemon/lime juice. Add the tomatoes, onion/shallot, pepper, cilantro and oregano. Mix thoroughly. Salt to taste. Allow mixture to marinate for at least 4 hours (stirring occasionally) so the acid in the lemon/lime juice cooks the shrimp and fish.